Photo: Bill Roddy collection. Bill Roddy was raised in San Francisco during the 1930s at 332 Hermann Street between Fillmore and Steiner. 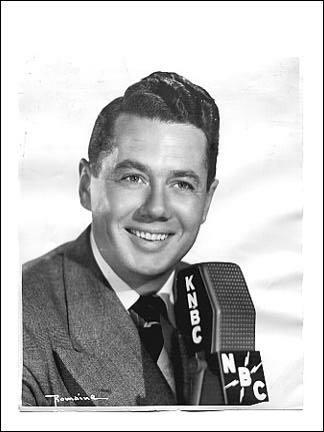 A radio announcer for NBC in the City from 1942-1965, Roddy shares his San Francisco memories in a fine collection of web pages that include stories of Hermann Street and the Western Addition in addition to historical photos and details on San Francisco history dating back to 1850. Among his memories, Roddy says, "You don't know what torture is until you've stood shivering in a wet, cold, wool bathing suit at Sutro Baths." His pages include photos from his own collection, vintage "viewbook" images, and photos from the Mayor's office, where Roddy worked from 1965-1976. He has retired and now lives in Mission Viejo though, of course, he left his heart in San Francisco.